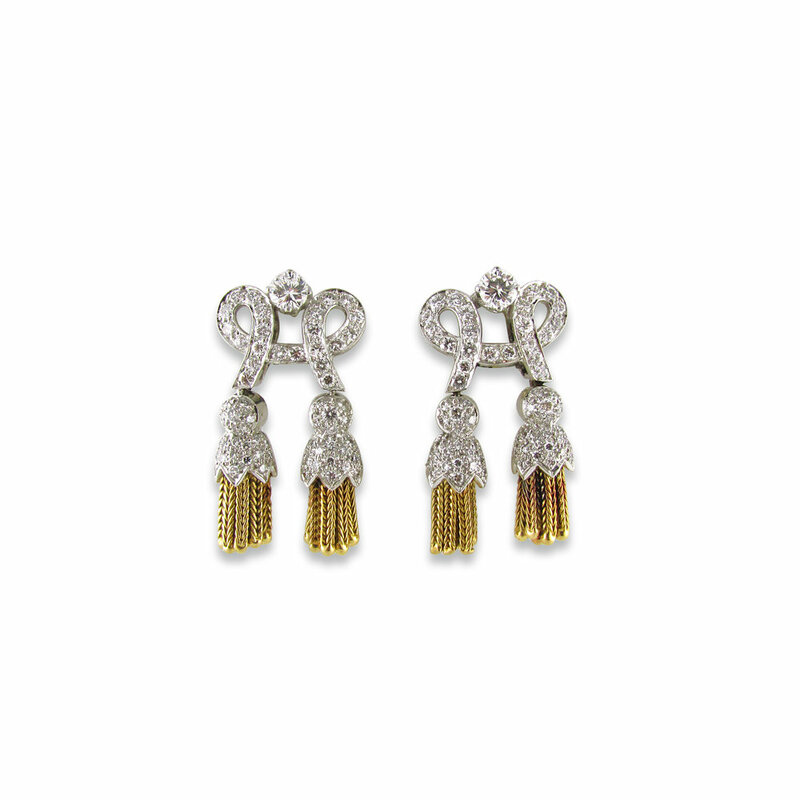 18KT yellow and white gold double tassel clip earrings with pave diamonds and one larger diamond at the center of each earring. Decorative gold tassels fall from each bow motif. The total diamond weight is approximately 3.00 carats.